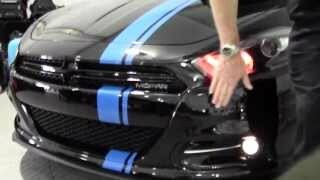 The Dodge Dart Mopar 2013, the fourth special-edition Mopar-badged vehicle since Dodge partnered with Fiat S.p.A in 2009, will be unveiled at the Chicago Auto Show this month. 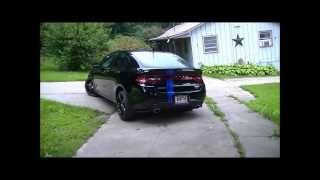 The Dodge Dart Mopar 2013 will be built and customized with Mopar performance parts and accessories. Production for a limited run of 500 units will begin this spring at the company’s assembly plant in Belvidere, Ill. 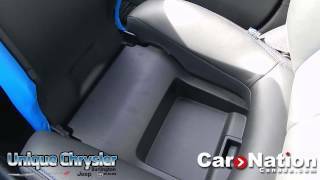 The Mopar 2013 Dodge Dart is powered by a 1.4-liter MultiAir® intercooled turbo engine with a manual transmission, the Mopar ’13 sports a gloss-black finish with a pair of car-length Mopar Blue stripes, which mirror each of the three previous Mopar-themed models. To improve handling, some of the upgrades include a performance steering-gear calibration, a 7 millimeter-lowered suspension and low-profile 40 aspect performance tires (225/40R18). 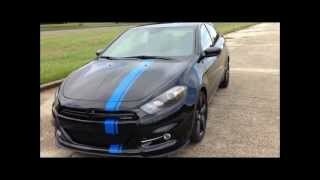 The limited-edition Mopar ’13 Dart will be delivered to each customer with a personalized owner kit.